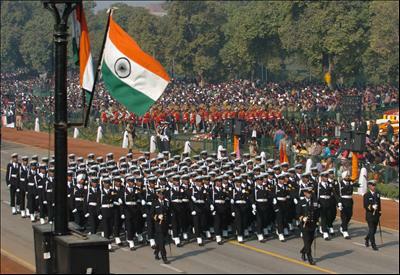 REPUBLIC DAY OF INDIA Republic Day is India's great national festival. It is celebrated every year on January 26, in New Delhi with great pomp and pageant and in capitals of the States, as well as at other headquarters and important places with patriotic fervour. It was the Lahore Session of the Indian National Congress at midnight of December 31, 1929 - January 1, 1930, that the Tri-Colour Flag was unfurled by the nationalists and a pledge taken that every year on January 26, the "Independence Day" would be celebrated and that the people would unceasingly strive for the establishment of a Sovereign Democratic Republic of India. The professed pledge was successfully redeemed on 26 January, 1950, when the Constitution of India framed by the Constituent Assembly of India came into force, although the Independence from the British rule was achieved on August 15, 1947. It is because of this that August 15 is celebrated as Independence Day, while January 26 as Republic Day. 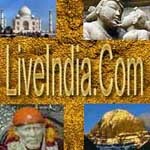 The most spectacular celebrations include the march past of the three armed Forces, massive parades, folk dances by tribal folk from the different states in picturesque costumes marking the cultural unity of India. Further, the streak of jet planes of Indian Air Force, leaving a trial of coloured smoke, marks the end of the festival. The trees on both sides of the routes and the lawns become alive with spectators. 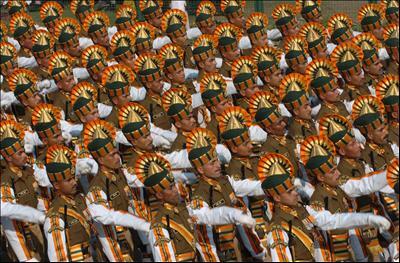 The President of India at New Delhi, on this most colourful day, takes salute of the contingents of Armed Forces. In the States, the Governors take the salute, and in Taluqas and administrative headquarters on same procedure is adopted. At Vijay Chowk in New Delhi, three days later (i.e. 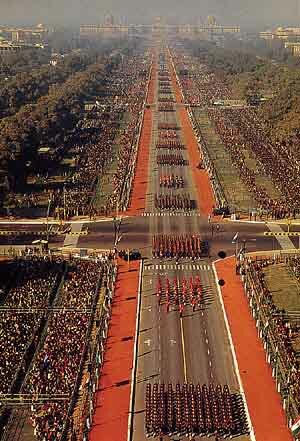 29th January) the massed bands of the Armed Forces "Beat the Retreat" in a majestic manner. greatest shows on earth drawing thousands of eager sight-seers from all over the country and many parts of the world. No other country can draw on such a wealth of tribal traditions and cultures, so many regional forms of dances and dress. 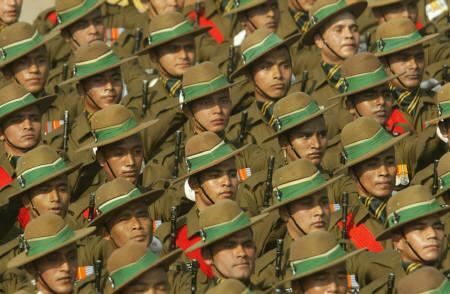 And, no other country in the world can parade so many ethnically different people in splendid uniforms as India's Armed Forces. But they are all united in their proven loyalty to the Government elected by the people and in their proud traditions and legendary gallantry. Officially, Republic Day is celebrated all over the country - national capital, state capitals, municipal corporations, panchayats, and other official agencies. At the level of the people, it is observed in homes, housing colonies, schools, colleges and institutions of every kind.